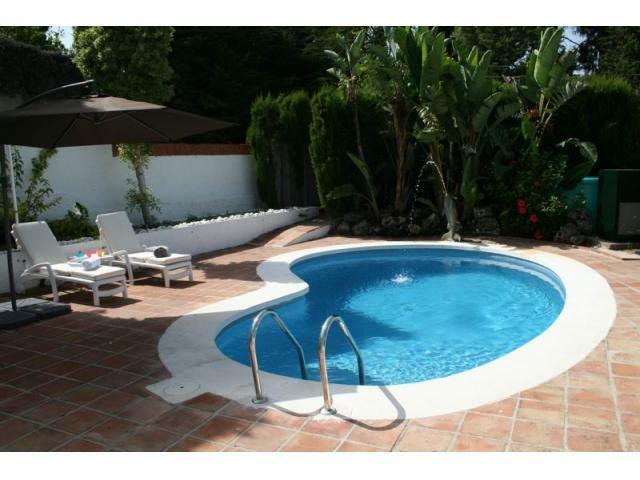 Azure Holidays are really pleased to present this wonderful 4 bedroom villa in Puerto Banus ideally located within walking distance of the beaches of Puerto Banus and Marbella. 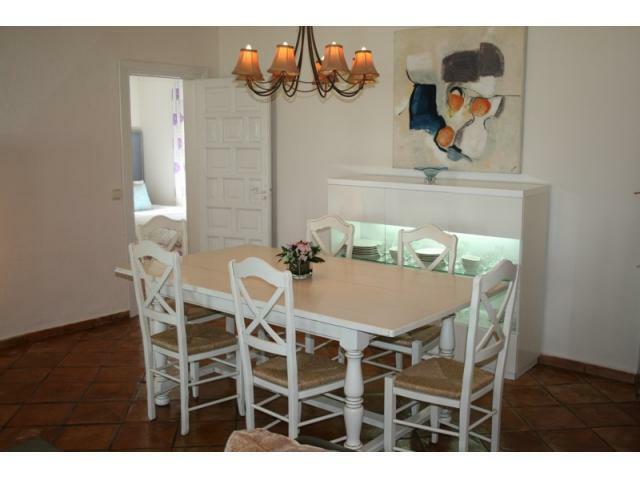 This villa is right on the Golden Mile and the perfect place for your family holiday. 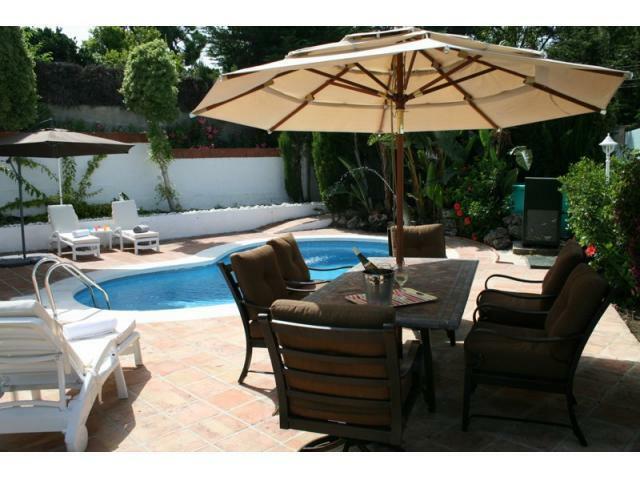 Ask Azure "This villa is in an ideal family holiday location perfect for exploring Marbella and Puerto Banus. 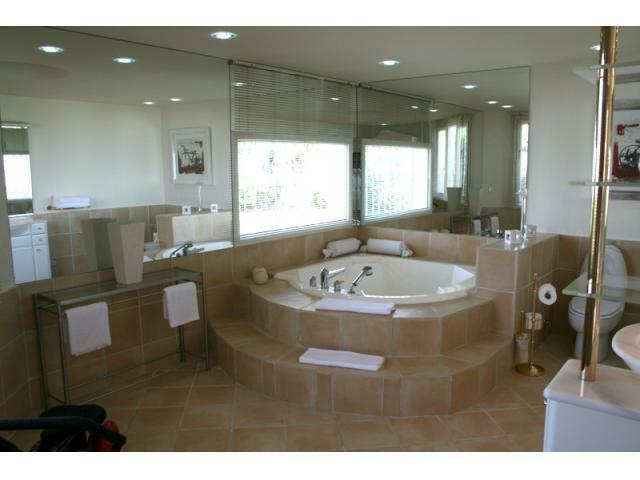 The villa is spacious with many great features such as the Jacuzzi in the garden and Jacuzzi bath inside - so relaxing. 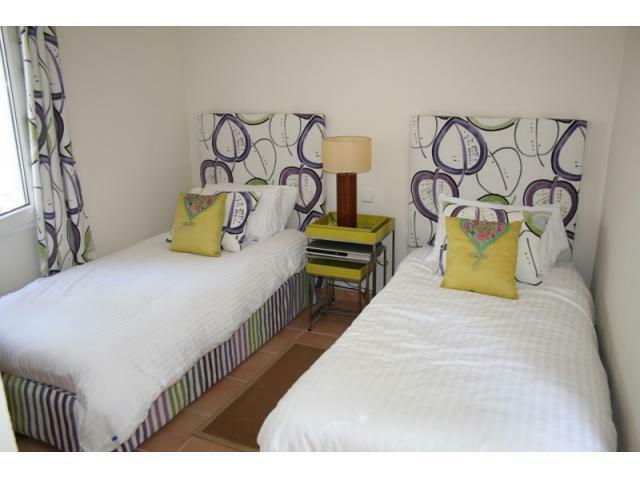 We love how the space is used throughout the property making this a very accessible villa"
This villa is accessed via electric gates and has off street parking offering a secure and private villa for your stay. The villa is all on the one level making it easy to move around in. The villa and gardens are set in a triangle plot with the bean shaped pool at the narrow end and a grassed area at the wider end. The pool end is all surrounded by a terrace area and this continues around the outside of the property to the seating area near the lawn. 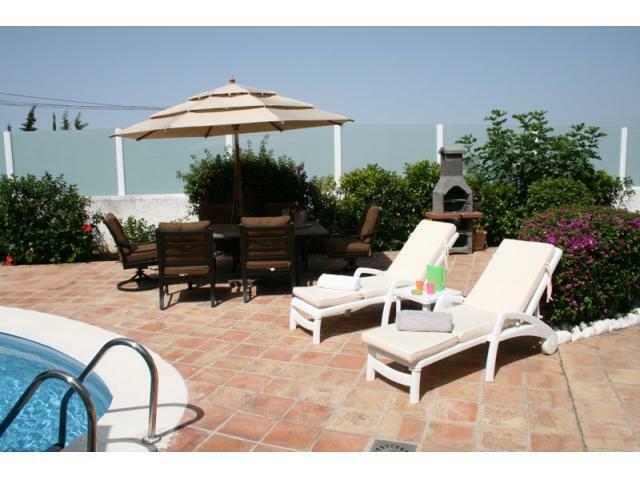 The pool has plenty of sun loungers and sun umbrellas around it as well as the outdoor dining table and chairs. This comfy eating area also has a large umbrella to protect you from the heat of the day whilst enjoying your alfresco dining. The BBQ is conveniently located next to the outside dining area so be sure to make the most of your time here with plenty of grilling and frying! 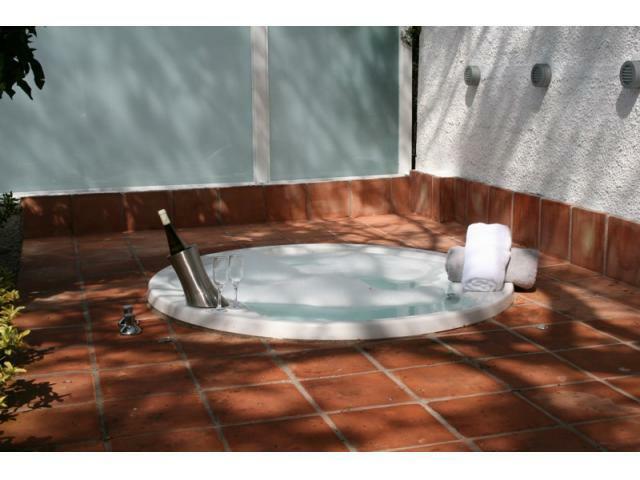 The outdoor Jacuzzi is a great addition to the garden area; it is purpose built and sunken making it easy to access and is so relaxing, an ideal place to chill out with a glass of wine or two. The triangular area of lawn is perfect for playing and relaxing on, the green area looks wonderful against the white walls and terracotta tiles. Down one side of the villa the tiled area continues to another outdoor seating area, the comfortable rattan furniture makes this space of the garden a beautiful place to relax and unwind in. The lounge area has a striking dark tiled floor which contrasts nicely with the white walls. 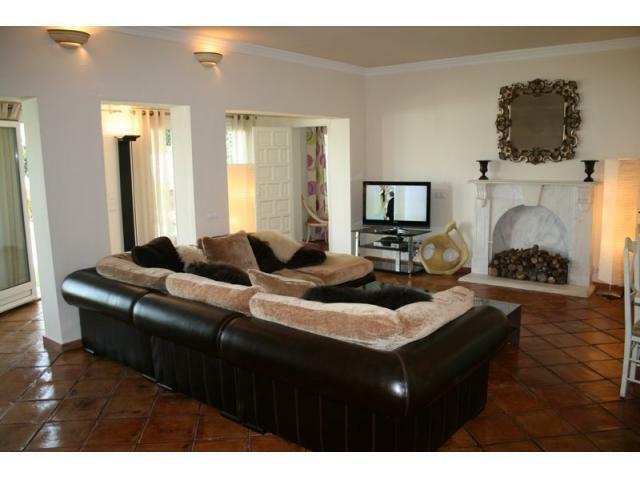 The living area has comfortable dark sofas and a large feature fire place that highlights the room. There is a flat screen TV and DVD player for your entertainment.The open plan room has a dining table and chairs to one side for those days where you prefer to eat inside. The kitchen is a great space, a galley style kitchen with everything that you could possibly need. 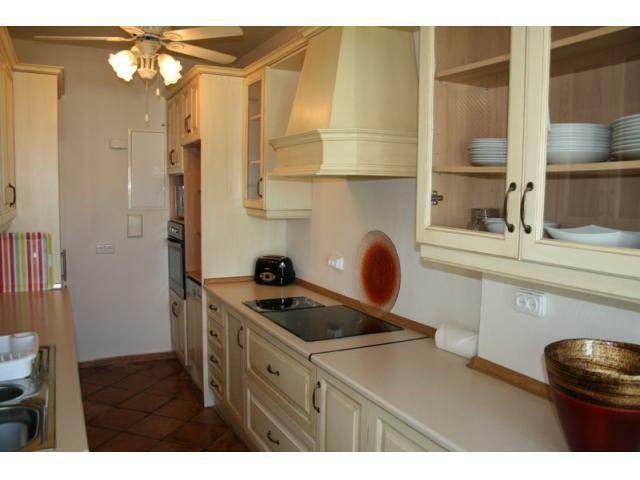 There is a large American style fridge freezer as well as a dishwasher and oven and hob. There is a separate room for the washing machine and tumble dryer. 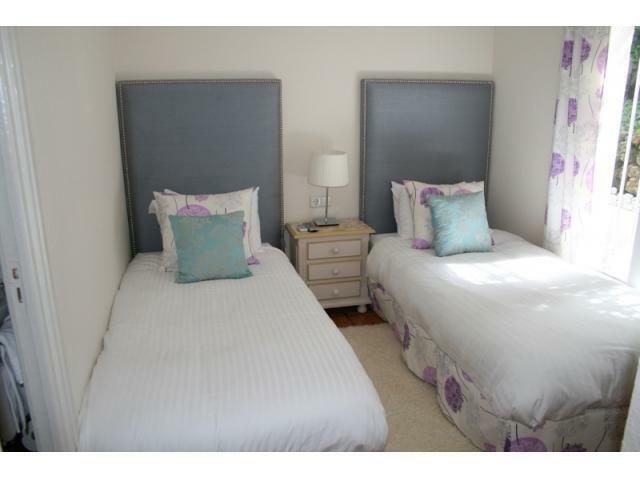 The bedrooms are all of a high standard; three are set up with twin beds, and one as a double. 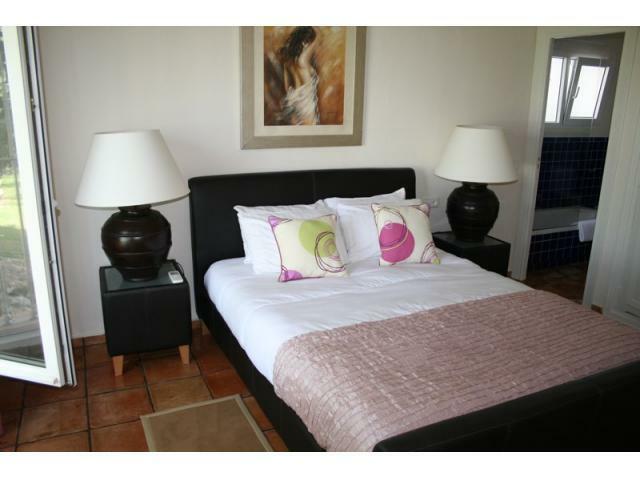 The en suite bathrooms are of an equal standard with one bathroom having a raised Jacuzzi bath that is delightful. 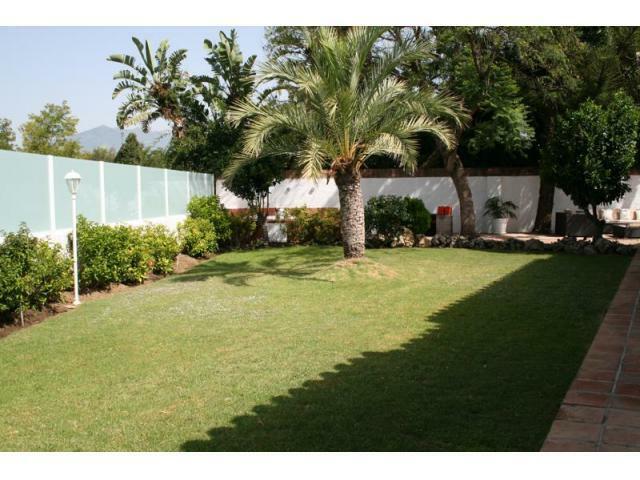 This villa is within walking distance of Puerto Banus ideal for exploring the port and marina and the wonderful beaches. 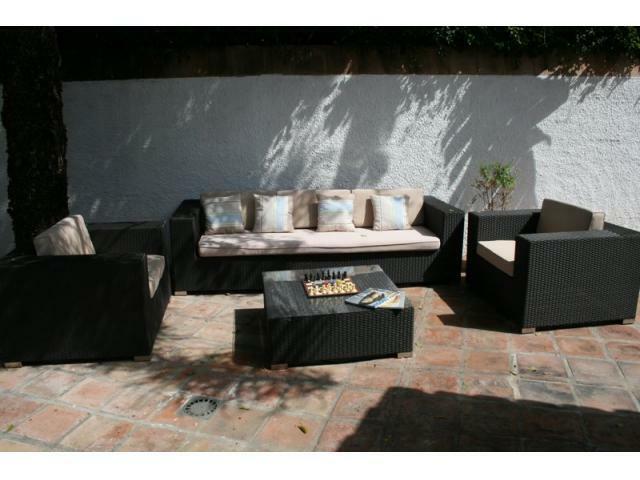 Marbella is a little further but still within walking distance making this the ideal location for exploring and accessing all the entertainment that these great areas have to offer. There are so many restaurants to discover and enjoy as well as shops to browse and cafes to relax in. The excitement of the glitz and glamour of this part of Spain is so appealing. For the golfers amongst your travelling party you will have plenty of courses to enjoy a round or two on. Not forgetting the beaches which are well known in this area for being some of the best in the world. You can read more about the areas surrounding this property in our guide here. If you have any questions about this villa you can contact us using the forms below or give us a ring, our team is happy to help.